DreamWorks Animation is ready to add a new video game to How To Train Your Dragon franchise. The release of this video game will make its way on your systems in February 2019. This sets the launch of the video game adaptation side by side with How To Train Your Dragon The Hidden World. Both, the movie and the game are going to come out in the same period of next year. The title of the game is going to be Dragons Dawn Of New Riders. Folks at Outright Games are going to be responsible for developing the How To Train Your Dragon game. DreamWorks Animation intends to set the series off on a new expedition with this game. Moreover, it would support the promotion of How To Train Your Dragon The Hidden World movie as well. In fact, both of them would compliment each other during the time of release. Meanwhile, Universal Games is going to be publishing the game. The plot of the game is going to be around the villainous Eir. The Viking is going to be on an evil mission to bring together dragons and control them. She wishes to control these dragons for her own benefits. 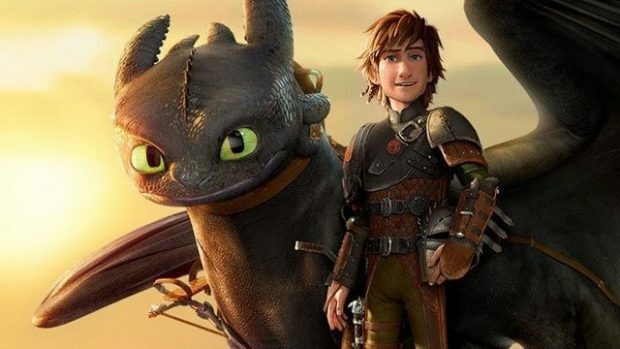 How To Train Your Dragon series is a beloved animated movie and pulling off the game right matters a lot to the fans. Activision also published a game for the franchise back in 2010. Now, we will see a new one coming out with the release of How To Train Your Dragon The Hidden World. The game does not have a fixed date but the movie does which is 22 February 2019. There is a list of video games which worked out fine despite being movie adaptations. Besides, we are hearing a quite opposite of the happeing as well. Call of Duty movie is reportedly in the making. But we all learnt a lesson from the Assassin’s Creed movie that a famous gaming brand can’t always work out in films.